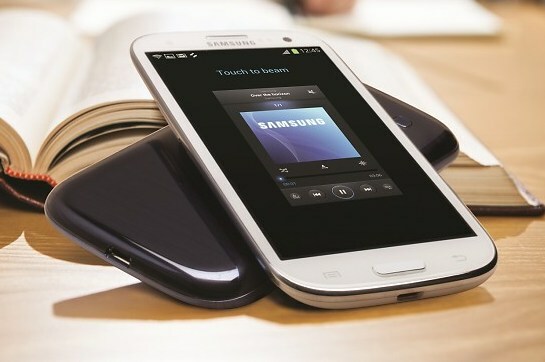 After a long going leaking drama Samsung Galaxy S III is announced at last by Samsung itself. Everybody has high expectations from Samsung this time specially after being named as the top mobile phone and smartphone vendor of Q1 2012. Samsung Galaxy S III almost covers all the state of the art features as you expect from a super smartphone now a days. It has a quad-core Exynos 4212 based 1.4 GHz Cortex A9 processor and 1GB of RAM with Mali-400MP GPU. The display is a 4.8" HD 720 x 1280 Super AMOLED capacitive touchscreen covered by Gorilla Glass. There is no PLUS here meaning the display is Pentile. The phone is only 8.6mm thick at its thickest point. It weighs just 133 grams. 8MP camera module is capable of 1080p video recording at 30fps, and comes with a 1.9MP front-facing camera for video calls. This new camera has voice-activated photo capture and a burst shooting mode which takes 3.3 photos per second. Galaxy S III also sports a zero shutter lag and a less than a second shot-to-shot time. The camera phone will also be capable of snapping stills while recording a video. Obviously Samsung Galaxy S III runs Android 4.0.4 ICS under the usual TouchWiz 4.0 UI, and there is the usual DivX/Xvid codec support, Swype text input, as well as improved SNS integration. Connectivity includes Wi-Fi a/b/g/n, Bluetooth 4.0, GPS, TV-out, USB-on-the-go and NFC support. There's a wireless charger gadget, a flip cover, an HDMI adapter, a battery charging stand and the S-Pebble MP3 player, which would plays MP3's from your S III wirelessly. But you have to buy these things at your own cost. All of these electronics is powered by a 2100 mAh battery. The Samsung Galaxy S III will be sold in 16/32/64GB internal storage variants. And you will also find a MicroSD memory card slot under your S III. So it’s not compulsory to buy a bigger storage S III, because that will cost a lot more.